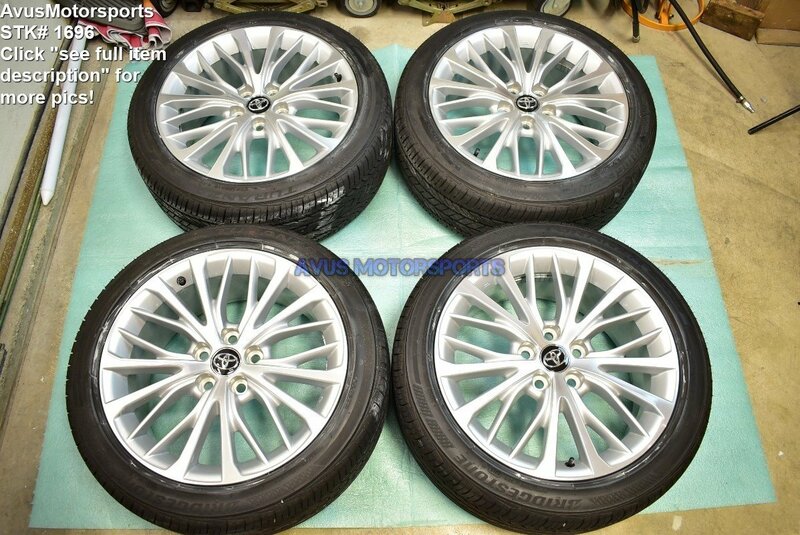 This auction is for a set of (4) 2018 Toyota Camry 18" genuine factory wheels NOT REPLICA and Bridgestone 235/45/r18. These wheels and tires were removed from a 2018 Toyota Camry with about 1000 miles on it. They are in like new condition, but do expect there might be scratches or blemishes (see pics). Please review all pics prior to bidding! These wheels has NEVER been remanufactured, repaired or refinished, NO bends or cracks. 100% original! Buyer will be responsible for making sure these wheels will fit on their vehicles, if you need assistance email us with your vehicle information!